Accordant Media set out to examine the relationship between users, cookies and the added impression and conversion volume available to marketers who connect with their audiences across multiple devices.  While there is a lot of buzz around the existence of cross-device solutions, our aim was to analyze the specific value for marketers in terms of campaign efficiency and effectiveness. Utilized an array of data points to link devices to one another, increasing scale and enabling the collection of cross-device insights. Measured the amount of targetable cookies available to the client via traditional retargeting tactics. We then measured the amount of new cookies and device IDs the Audience Graph made available to the client (through the linking of devices). We saw a 2.5x increase in targetable cookies as a result of the linking. We deployed smart audience targeting across devices to lead the consumer down the path to conversion while balancing CPMs and conversion rates. Accordant increased scale and boosted conversions by utilizing our Audience Graph to connect with the client’s key targets across multiple devices.